Blue lake of life from which flows everything good. We rejoice with the spirits beneath your waters. That have been placed here by the Great Spirit. In beauty it is begun. In peace it is finished. In peace it shall never end. 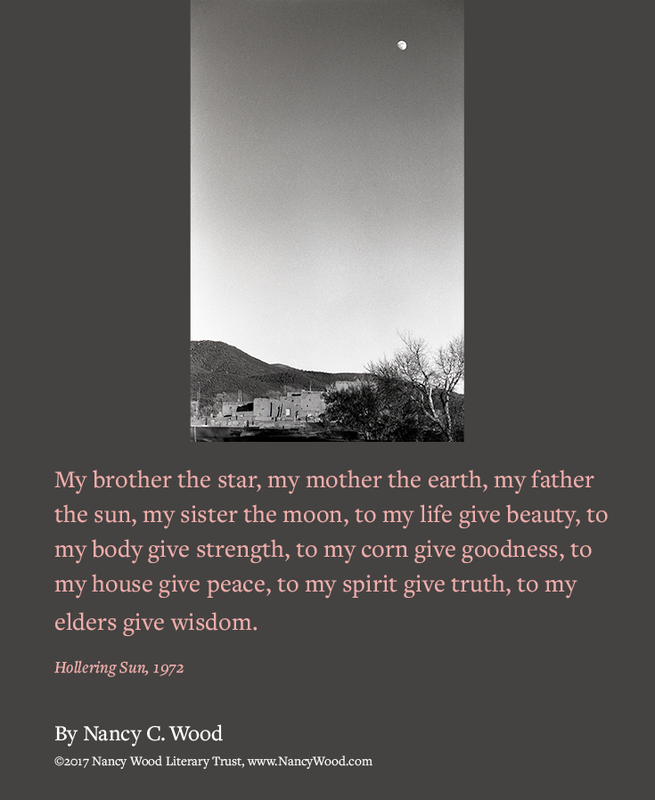 My brother the star, my mother the earth, my father the sun, my sister the moon, to my life give beauty, to my body give strength, to my corn give goodness, to my house give peace, to my spirit give truth, to my elders give wisdom. All as it was in this place timeless. Shall not be a tree instead? We pray to all of nature and do it no harm. All men and all animals and all trees. Is in earth and sky and everywhere. As long as nature follows its own purpose. As long as we know what we are doing here. 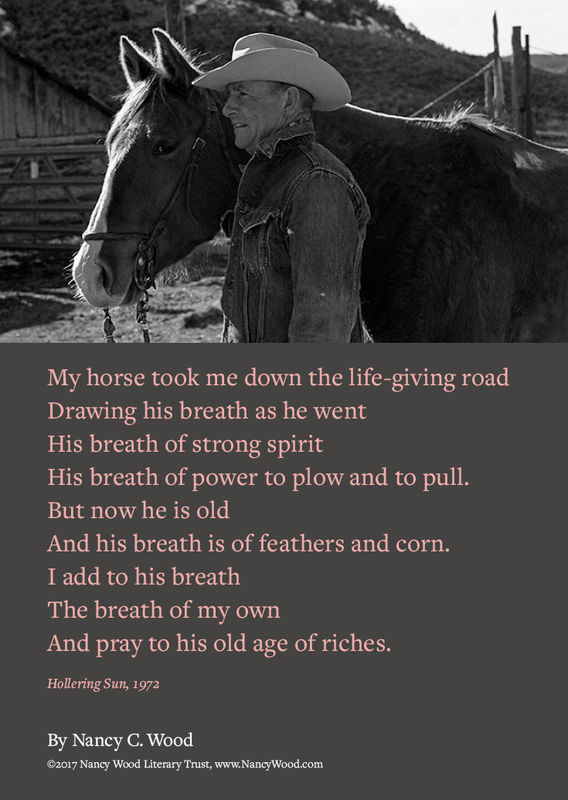 His breath of power to plow and to pull. And his breath is of feathers and corn. And pray to his old age of riches.